A team of government officials from Australia observes an identity preservation loading – happening directly from barge onto vessel – on the Mississippi Delta. Reece Canady, USGC manager of global trade, far right, accompanied the team throughout the U.S. When one country is considering importing grain from another, the list of concerns and coordination can be long. Rising to the top of the list is often the threat – perceived or real – of importing new pathogens and pests from the exporting country. This scenario played out last week when a team of Australian government officials visited six states and the District of Columbia to better understand the U.S. corn and sorghum value chains, from farm to elevator to port. To balance these concerns, the Council led the team in meetings with officials from the U.S. Department of Agriculture’s (USDA’s) Animal and Plant Health Inspection Service (APHIS) and Plant Protection and Quarantine (PPQ) program in Washington, D.C. where the team received an overview of the U.S. grains transportation system before heading to the Midwest to discuss U.S. identity preservation (IP) procedures. While in Missouri, the team visited a river terminal to understand the logistics of barge and rail loading and observed modern farming practices, on-farm storage and pest management methods practiced by producers. The team then traveled to a grain inspection lab in Kansas, toured a grain elevator connected to a rail line and spoke with corn and sorghum officials about this year’s crop quality. 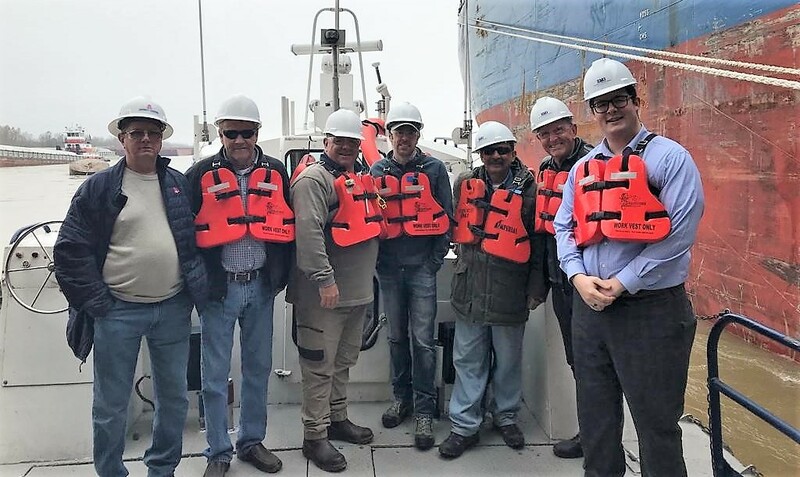 Finally, the team paid a visit to the Federal Grain Inspection Service (FGIS) office outside New Orleans where they heard from a specialist on the prevalence of the grain diseases of most concern before ending their time in the U.S. visiting two export terminals along the Texas Gulf Coast. The Council’s leadership in trade servicing, transparency and access to the U.S. grain value chain allows it to succeed in its mission of developing markets, enabling trade and improving lives. Read more about the Council’s trade servicing work.